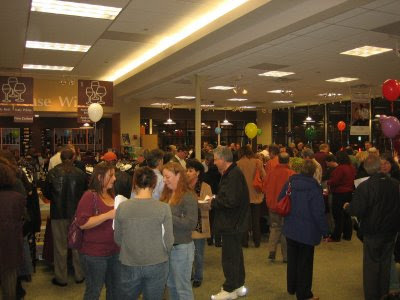 Blanchards Wine & Spirits in West Roxbury, MA is hosting their semi-annual Grand Wine Experience tonight, Wednesday October 21st, 2009 from 6PM- 9PM. This is a free tasting of more than 100 wines, each on sale at a 20% discount. Click HERE for more information. I attended their similar event earlier this year and thought it was great. I wrote up my thoughts HERE. There's some really excellent people who work at Blanchards. As a result of their helpful nature, the wines they carry, and their competitive pricing, the shop has earned a large portion of my wine spend in the past year. I'd encourage you to check them out.